Having our own Machine Shop allows us the ability to custom manufacture your specific custom wellhead requirements, including high line spools, special lubricators configurations, its all with the intention of lowering your high line modification cost. Joining the strength of the Unibody Design with the EUE Lubricator increases the overall lubricator strength, allowing it to absorb the energy in high velocity impacts of a dry plunger run in the unlikely event of total spring failure. Definitive Optimization’s Dual Valve assembly “Inclusive Modular” design focuses on reducing the extensive cost of facility modification to accommodate the installation of a plunger lift lubricator. While ensuring functional & efficient operation of the plunger lift equipment. 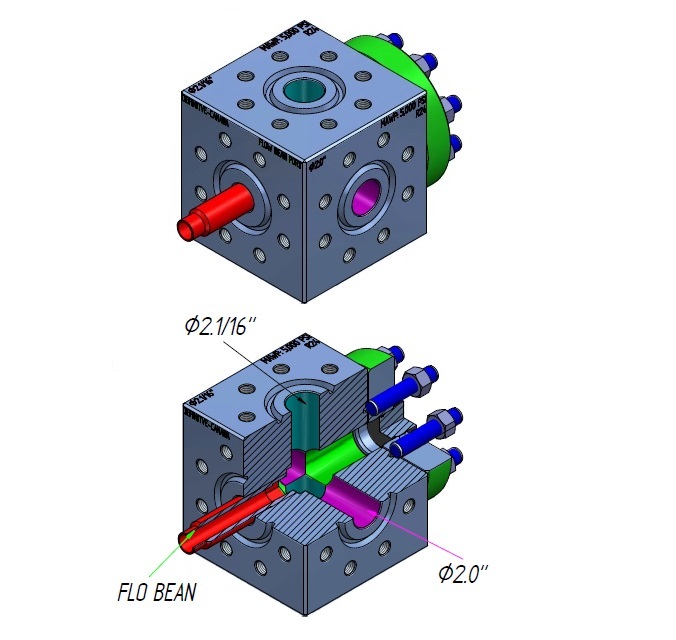 Definitive Optimizations Universal Flow Block is designed to work with existing API wellheads. 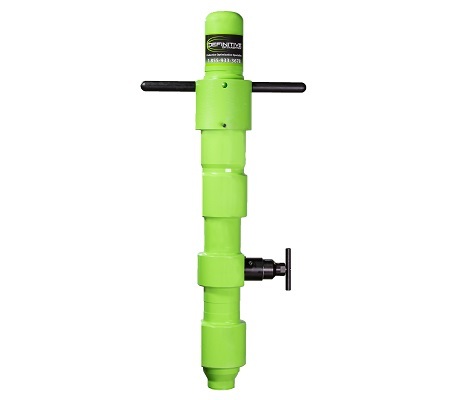 It allows easy addition of plunger lift applications to your well. There are 3 potential path ways that allow the user to easily set this flow block up in several positions as the wells operating conditions change. - Configuration 1; Regular Operation has a 2 1/16 vertical flow path. 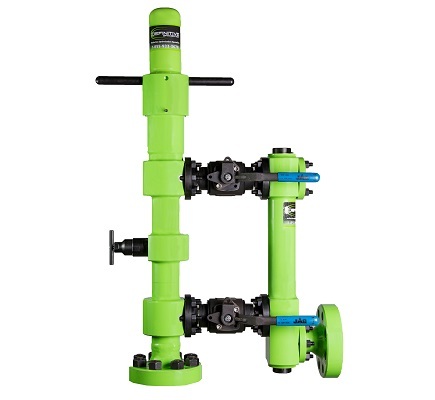 - Configuration 4; Two Piece Plunger Operation has the 2" vertical path with 1.25" HZ outlet. Was designed with fluid bleed/flush ports to prevent the bullet from freezing in the chamber, this modification also allows the bullet to function freely in light sands and paraffins. The 7 turn catch and release design allows for easy operation. The addition of an internal return spring eliminates excessive plunger to bullet impacts.